Click Here to Begin Slideshow With over 1,500 qualified bidders registered for the upcoming Barrett-Jackson Northeast Auction, there’s no shortage of gorgeous machines upon which to feast your eyes. 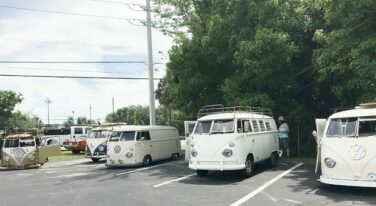 As usual, we’ve collected an assortment of intriguing cars from different backgrounds to show not only the variety offered at this auction, but the atmospheric standards they all reach. 1970 Ford Mustang Boss 429 Fastback Dashed in an eye-catching coat of Grabber Blue, this immaculate Boss 429 check all the boxes. Boasting an 429/375hp Boss engine with 4-speed Toploader transmission and a 3.91 Traction-Lok rear axle, there’s more than enough juice to appeal to the hardest of drivers. More than that, the car wears original panels! The sumptuous interior features high-back white vinyl bucket seats, floor-mounted shifter, tachometer and trip odometer, AM radio and rim blow deluxe steering wheel. 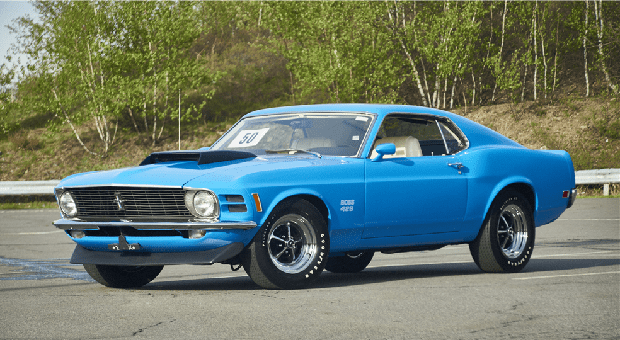 With over 1,500 qualified bidders registered for the upcoming Barrett-Jackson Northeast Auction, there’s no shortage of gorgeous machines upon which to feast your eyes. As usual, we’ve collected an assortment of intriguing cars from different backgrounds to show not only the variety offered at this auction, but the atmospheric standards they all reach. 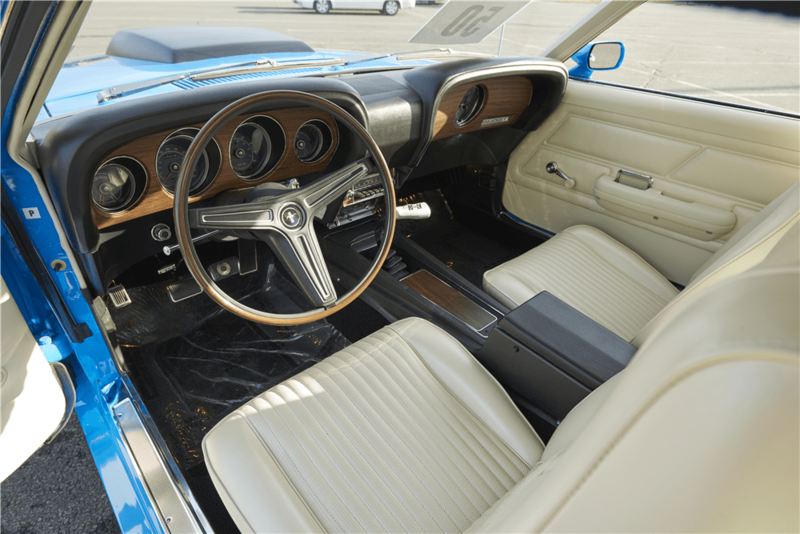 Dashed in an eye-catching coat of Grabber Blue, this immaculate Boss 429 check all the boxes. Boasting an 429/375hp Boss engine with 4-speed Toploader transmission and a 3.91 Traction-Lok rear axle, there’s more than enough juice to appeal to the hardest of drivers. More than that, the car wears original panels! The sumptuous interior features high-back white vinyl bucket seats, floor-mounted shifter, tachometer and trip odometer, AM radio and rim blow deluxe steering wheel. Accompanying documentation includes three copies of Ford Window Stickers, Deluxe Marti Report and MCA judging sheets. With a recent MCA-Concours score of 994 out of 1,000, this freshly rotisserie-restored machine should have no difficulty meeting its reserve and giving its new owner a spring in their step. 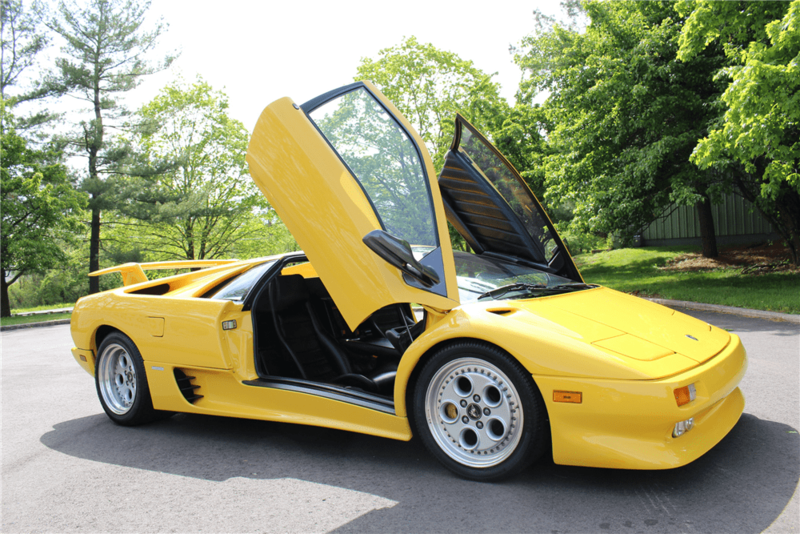 The last of the truly over-the-top Lamborghinis, the Diablo was, according to Jeremy Clarkson, designed “solely to be the biggest head-turner in the world." Its stealth fighter looks are complemented by the raucous, 5.7-liter V12 sitting midship and making 485 horsepower/428 lb-ft of torque. 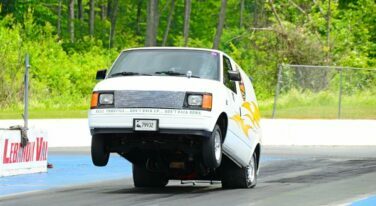 As this particular example has only 7,300 miles on the clock, it’s likely the motor’s held onto all of that horsepower. 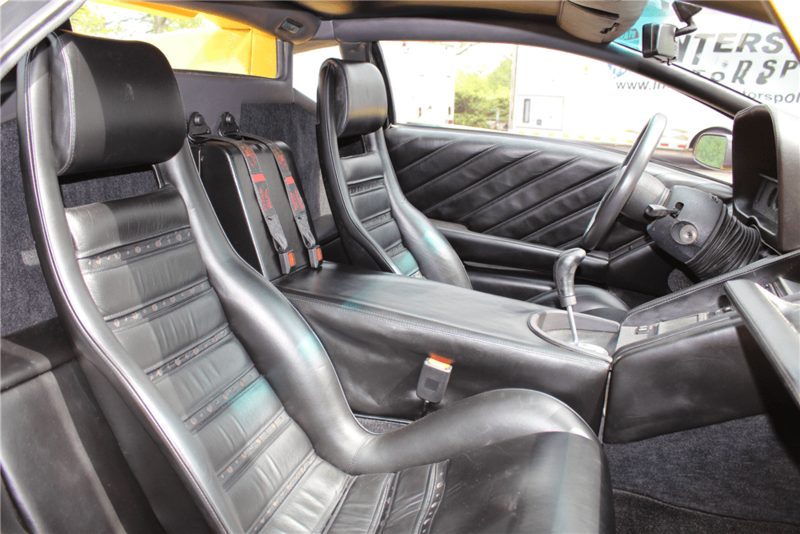 Thanks to its plush and pampered existence since 2003, when it was put in storage, the regularly-maintained machine is immaculate inside and out — the black leather interior tear-free and the Fly Yellow paint gleaming audaciously. A low-mile ‘91 Diablo is a rare item indeed — and will undoubtedly give its new owner the sort of attention that would make a supermodel blush. Though this stunning Super 8’s already sold for a mere $187,000, the car deserves a flash of the spotlight. 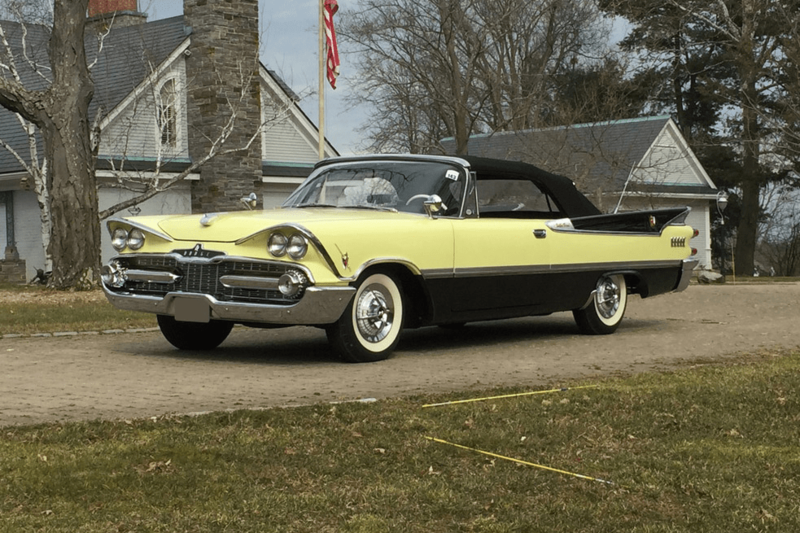 Accompanied by its original firewall tag, it's powered by a 385ci straight-8 engine and 3-speed manual transmission, and has been deemed a Classic Car Club of America (CCCA) Full Classic. Finished in striking dark green/black and upholstered with a tasteful brown interior, this color combination is impossible to argue with. 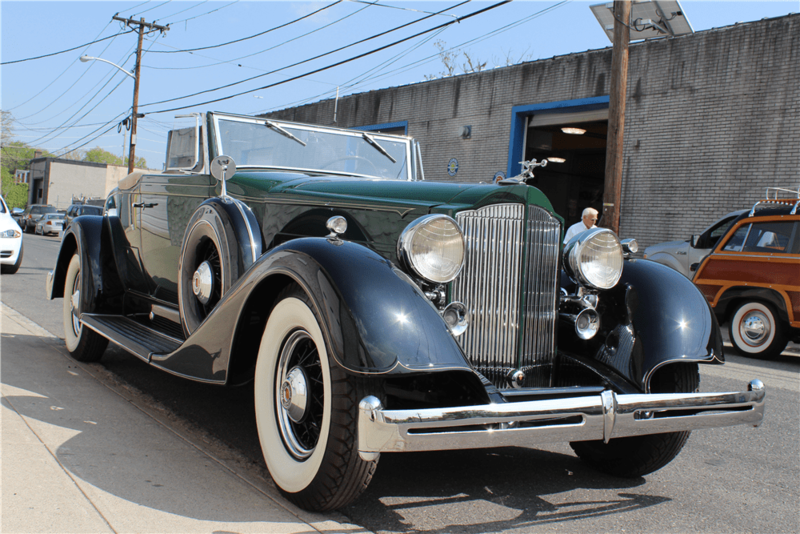 The chrome accents, whitewall tires and elegant lines of this Super 8 are undeniably attractive, and the new owner of this car has a definite appreciation for classic automotive aesthetics. Hats off. 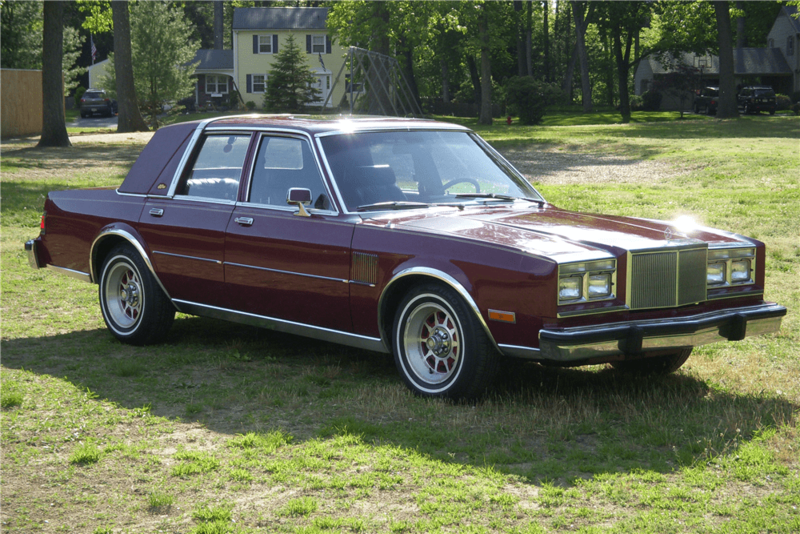 For most citydwellers in this day and age, this land-yacht is a no-go. However, the collector with a broad country lane to cruise would love this gorgeous, 383-powered behemoth. Finished in black and yellow, this finned spectacle is easy on the eyes but hard on the wallet, selling for $220,000 this year. It’s priced as such for good reason. 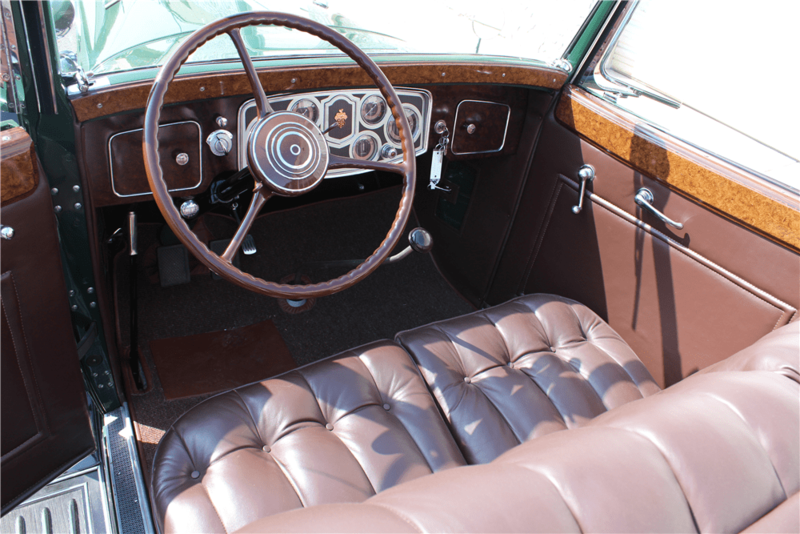 It’s recently been mechanically and cosmetically serviced by the respected Tom White, while Jonathan Chase of Skin and Bones Restorations restored the interior. The latest restorations included NOS parts at great expense, and it's been completely babied since its latest refreshing. Add to its list of accolades a series of awards from Meadowbrook, Greenwich, Newport, RI, and others, and it’s impossible not to see the unanimous appeal this rare machine has. Being part of the 2017 New England Concourse D’Elegance only seals the deal — but makes the fact it’s already found a new owner that much harder to bear. Still, one can dream. 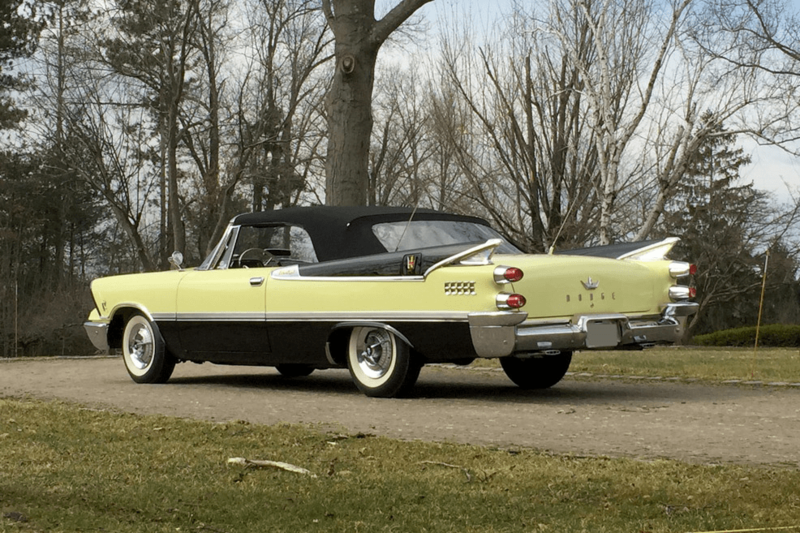 To demonstrate that not all offerings at Barrett-Jackson are going for six-figure prices, this Chrysler New Yorker offers some old-world charm for a modest price. Kept cozy in a garage by its original owners since 1982, this Fifth Avenue Edition has a mere 62,614 miles on the odometer. Powered by the original V8 318 CID with the 3-speed automatic transmission, it has torque and comfort in spades. 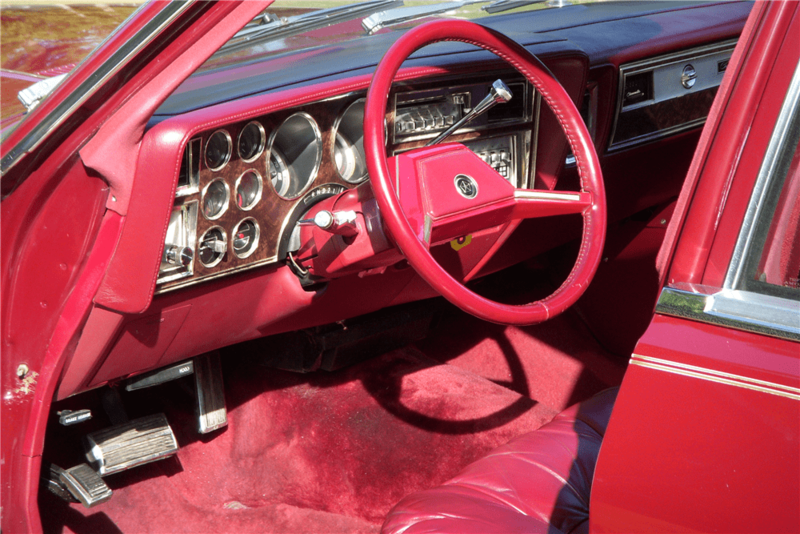 Complementing the plush ride, the sumptuous red interior provides the owner a casual place to cruise and a reminder of how things were s bit simpler thirty-six years ago. 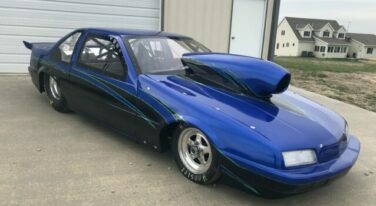 For those reasons, as well as a $4,400 price tag, it’s no surprise this sold quickly. For more information on the Barrett-Jackson Northeast auctions taking place June 20th-23rd, check their site here.